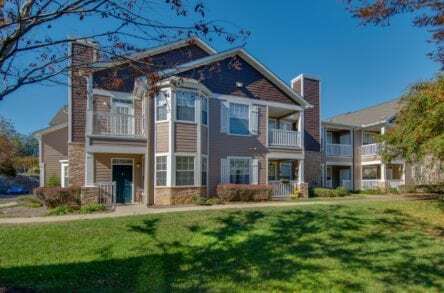 SEATTLE – On May 31, 2018, Admiral Capital Group (“Admiral”) and Security Properties (“SP”) purchased Hamptons at Woodland Pointe, a 240-unit multifamily property located in Nashville, TN. Hamptons at Woodland Pointe is a Class B+ garden-style apartment community that was constructed in 2001 by Bristol Development. The residential units are a mix of one, two and three-bedroom floorplans with an average unit size of 1,092 SF. Unique from the other apartment communities in this area, direct access garages are included in 120 of the units (50%). The business plan is a heavy value-add, in a secondary ring of a high growth metropolitan area. “We are excited to acquire this property in a strong market with a highly diversified economy and transform the community into a best in class asset,” said Admiral Co-Founder Dan Bassichis. “It is uniquely positioned given the large unit sizes, lower density layout and direct access garages and will benefit greatly from a major upgrade to the amenities and unit interiors.” Security Properties will renovate all of the unit interiors to a high end finish and redesign the clubhouse to be more functional and modern. Specifically, Security Properties will add washer and dryer appliances, stainless steel appliances, quartz or stone countertops, lower breakfast bars, and add modern cabinet faces. In the clubhouse, Security Properties will extend the pool deck to the clubhouse for a more seamless transition, as well as expand the fitness center into the theater room. The property is located is located approximately 15 minutes east of downtown Nashville and 5 minutes from the Nashville International Airport (BNA). The asset is approximately 100 yards from Percy Priest Lake, Nashville’s primary recreational lake, and is near a variety of associated amenities. Hamptons is also proximate to corporate and industrial employers, aside from the 15 million square feet of office in the CBD. Nearby, just north of the Airport, is an approximate 5 million square feet of office in the Highland Ridge business park and surrounding areas, as well as another 5 million square feet of mixed use industrial in Elm Hill. Prominent employers in the area include Deloitte, TriStar Medical Center and Kroger Corporate. SP now owns five assets totaling 795 units in the Nashville marketplace and the property will be managed by Security Properties-affiliate Security Properties Residential. Admiral Capital Group (“Admiral”) is a real estate and private equity investment firm with offices in New York, San Antonio and Seattle. Admiral was co-founded by David Robinson, US Naval Academy graduate, philanthropist and NBA Hall of Famer, and Daniel Bassichis, formerly of Goldman Sachs. Admiral invests in real estate through a series of discretionary funds and separate accounts, and targets value-add and core-plus opportunities in office, multifamily, hotel and retail properties. Admiral has acquired over $1.4 billion of real estate assets since 2008. Admiral’s founders also have pledged 10% of their profits to philanthropic causes in certain areas where Admiral invests, building on Robinson’s lifetime commitment to support education and lower-income communities. For more information, visit www.admiralcg.com. Security Properties Residential is the affiliated property management firm of Security Properties, created to increase the value of its real estate holdings by more closely managing its assets. Operating throughout the Western U.S., Security Properties Residential is committed to delivering exceptional service to its apartment communities and residents. Services include property, construction and compliance management services that create positive living environments for residents and build value for clients.